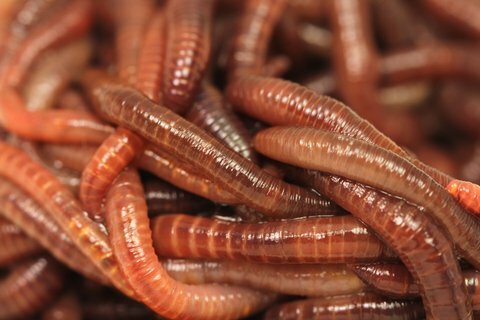 Even with the multitudes of fishing lures on the market, you’d be hard-pressed to find a better bait for freshwater fish than old-fashioned live worms. While worms don’t necessarily exist naturally in the water, most freshwater fish still can’t resist their wigging action and scent. I’ve caught a wide variety of fish using worms, including walleye, trout, bass, bluegill and catfish. I’ve found, though, that nightcrawlers work best for walleye and bass, while smaller worms — red worms and leaf worms — are great for for panfish like bluegill and perch. Worms are everywhere. More likely than not, you can find enough worms for fishing just from a few shovels of dirt in your garden, some damp soil or even picking them off the street after a hard rain. Worms can also be purchased in fishing tackle stores, bait shops or even gas stations, where they’re not free like the ones in your yard, but they also won’t break the bank, either. Many first-timers feed a worm onto a hook with much of it dangling free, which doesn’t always work out so well. One cool thing about worms is that you can pinch them into smaller pieces and still get action out of them. Not only does this allow you to get more fishing time from your worms, but it also prevents smaller fish from nibbling the worm without biting down on the hook, which allows them to steal it. Admit it; you’ve been there. We all have. Worms bring a natural smell to your fishing presentation, which is always a plus. They can also survive for a few hours in and out of the water, allowing them to wiggle and entice fish for a good length of time. Bonus Tip: You can make worms more appealing to fish by using a worm blower to inject them with small amounts of air, allowing them to float off the bottom when using weighted bottom rig.